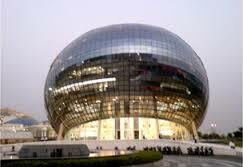 · The Pune and Hyderabad STPI campuses were awarded the LEED EB platinum certification. The Hinjewadi campus in Pune was awarded the Platinum Certification under LEED EB O&M v.3 of the 2009 rating system of the U.S. Green Building Council (USGBC), making it the largest campus in the world to have achieved this distinction. · Currently, over 20 million sq. ft. covering 91 buildings is monitored through the Central Command Center in Bengaluru and Mysuru. · Infosys is at the forefront when it comes to exploring the possibilities of solar energy, 17,572 MWh of electricity was generated from solar PV systems at Infosys’ campuses. The company has installed 15.2 MW rooftop solar plants and ground -mount installations across our campuses in India. · During the year, the company started three new carbon offset projects – a rural electrification project and two projects which involved distribution of high efficiency biomass cook stoves for households in rural areas. Together, they will generate approximately 50% of our carbon offset requirement in 2017-18. ·Infosys is working to achieve zero waste to landfill and 100% food waste treatment within their campuses. Currently 63% of the waste generated is treated in biogas plants. · The innovative smart water metering program enables Infosys to monitor all water consumption online on a continuous basis and eliminate water wastage significantly.